Eight 3-by-6-inch subway tiles will cover one square foot. 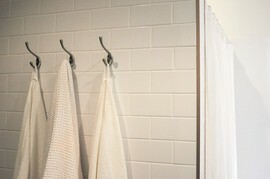 Some manufacturers use the term "subway tile" to describe any rectangular tile with a length twice its height (i.e. 4x8 inch planks or 1x2 inch mosaics). Prices start around $2 per square foot. On the high end, handmade artisan tile may run $50 or more.